Women haven't always had it as good as men. Most of the time any power they might have had was through their husbands. But whether they ruled as a consort or in their own right, many ladies managed to be just as crazy as the guy in charge. There are plenty of women throughout history who were completely bizarre on their own merits. Theses are just some of them. According to The Guardian, you could call the current British queen's grandmother, Queen Mary, a kleptomaniac. She would go to people's homes and straight-up steal stuff. Royal Babylon says her technique went something like this: She'd pop by your house and see something she liked. Instead of making conversation like a normal person who had come to visit, she would stare at whatever object she wanted for a long time. This was the first warning sign. If you didn't get the point, she would sigh and loudly say something like "I am caressing it with my eyes." Since this was the queen telling you this, you'd probably give in and offer whatever it was to her as a present. But what if it was a family heirloom or something you just couldn't bear to part with? Then she would just have to take it without you noticing. When people realized what she was doing they took to hiding anything they thought she might take a shine to before she came over. She countered by showing up unannounced. The antique dealers of England had it bad as well. 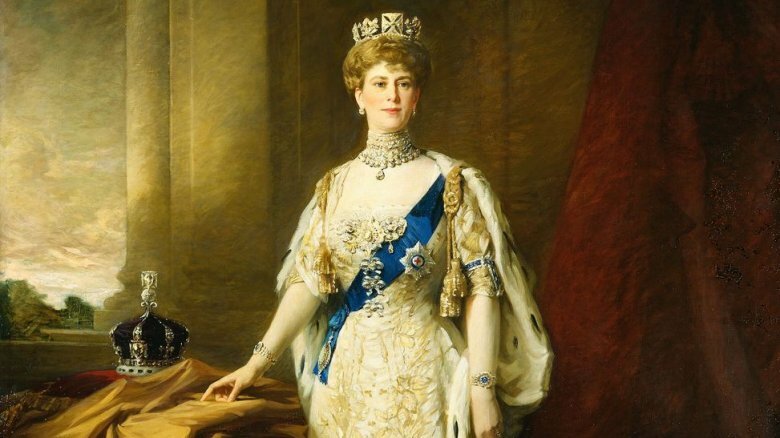 Queen Mary was known to stop by and take whatever she wanted and then just forget to pay for it. Eventually her stealing got so bad her assistants had to be on high alert, and if they found out later she'd managed to sneak something into her purse, it was returned with a note that there had been a "misunderstanding." Empress Elizabeth ruled Russia in her own right and was the aunt-in-law of Catherine the Great. Someone with absolute power can do anything she wants and what Elizabeth wanted was for her court to cross-dress. The problem was that Elizabeth thought she had fabulous legs, but the style of the day, big hoop skirts for women, meant that she couldn't show them off. Men's clothes, on the other hand, had breeches and tights that really exhibited their form. Since she was in charge and didn't want to be the only one who looked different, she would throw huge balls were everyone had to cross-dress, or else. 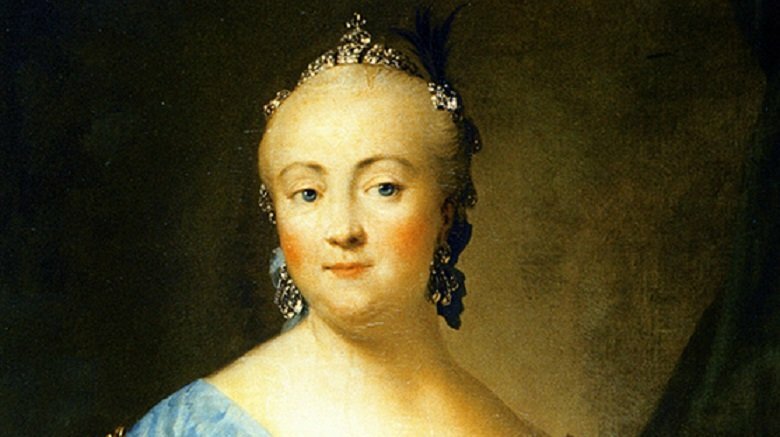 According to St Petersburg and the Russian Court, 1703-1761, the young Catherine actually enjoyed these parties. She might have been the only one, besides the empress. The male style of clothing wasn't flattering on all women, especially the older ladies who were noted as having "short, fat legs." But it was the men who really had it bad. To go from the relatively form-fitting clothing they usually enjoyed to giant hoop skirts meant they had no idea how to maneuver their huge bulk while walking, let alone dancing. They were also expected to wear women's hairstyles, which amounted to huge wigs. With a change so drastic, accidents were bound to happen, like when Catherine was knocked over while dancing and fell under a man's hoop skirt. Amazingly, these balls didn't continue after Elizabeth died. 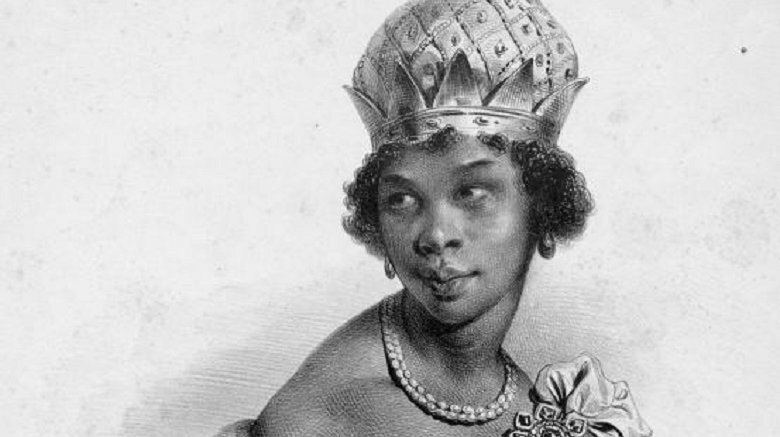 Queen Nzinga of present-day Angola had a lot on her mind. She was busy fighting the Portuguese for most of her rule, after her brother died and she took over. This worked because she kept the Portuguese at bay for 40 years. During this time, she also wanted to get busy. That's why she pulled together a harem (yes, ladies can have harems, too) of some of the hottest guys. Oddly, she made them dress up like women, but maybe it made sense since she was strutting around looking like a man. However, she didn't have the time to walk in to her harem and decide who she was going to sleep with every night. Harvard's Library Collection says this is why she came up with a quick and logical way around this. Nzinga would just have two dudes fight to the death every night and bed the winner. The next day, she would execute the winner as well. Bedroom needs solved. At 75 years old she finally decided she wasn't cut out for this anymore and disbanded her harem. That doesn't mean she ditched everyone, though. From Eve to Dawn, A History of Women in the World says that she married one of her youngest "wives," making her a serious cougar. But hey, if you could get away with it you'd probably do it, too, right? 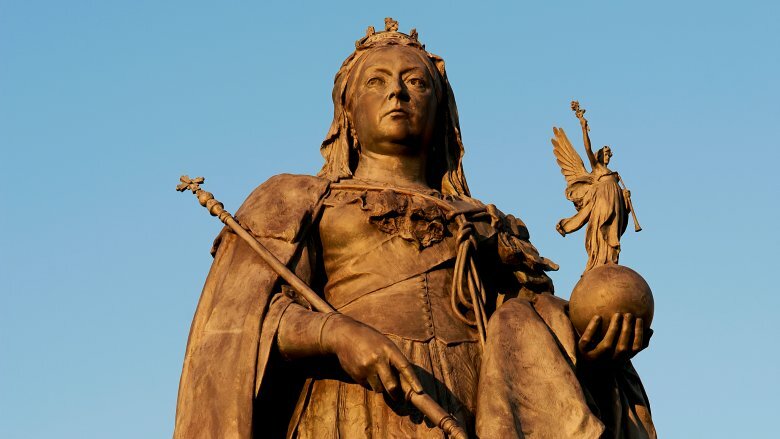 Queen Victoria of the United Kingdom was completely obsessed with death. Fortunately for her, lots of important people in her life died while she was in charge, like her mom, daughter, and most famously her husband. After he died Deseret News says she ordered the "longest mourning in modern times" and this is back when a random uncle dying meant you had to wear black for at least a year. She would never fully escape from her sadness, wearing widow's weeds for the rest of her life. It was a completely morbid obsession. In more rock 'n' roll news, she also regularly took cocaine and opium, according to Beardy History. But those were legally available at the time. You can't compare today's illegal drug use to what was basically prescription medication. Well, fortunately Queen Vic also dabbled in some controversial stuff, namely chloroform. Contrary to popular perception, the Queen liked the horizontal tango. A lot. This meant she was pretty much constantly pregnant while her husband was alive. During the birth of her seventh child she was given chloroform and loved it so much she requested it at the births of her next two children. Chloroform was such a controversial drug at the time that when word leaked out of the palace that the Queen had indulged in some happy juice, the population was shocked. The famous medical journal the Lancet insisted the rumors could not be true, but they were. 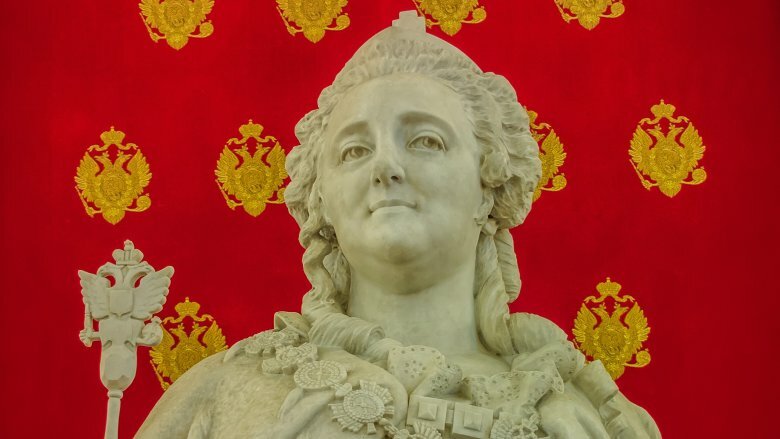 Catherine the Great was probably one of the most famous women ever to be in charge of a whole country. She ruled Russia with an iron fist and did a pretty good job of it. She's well-known for her crazy libido, but the most famous story about her is an urban legend. She wasn't killed by doing the nasty with a horse. In fact, she never got her lady bits anywhere near a horse. But she did like doing the dirty with guys. She wasn't as prolific as some kings, though. When she fancied a guy, she stuck with him for a while before moving on to another conquest. But when you're busy running one of the biggest countries in the world, you don't have time to waste on guys who don't … measure up. That's why Catherine didn't take any chances. According to The Poet and the Vampyre, the empress had a friend named Countess Bruce "try out" anyone she was thinking of having a relationship with. This made a twisted kind of sense. Catherine was so busy, she needed to know that any guy she was going to take to her bed was worth it. So Countess Bruce stepped in to be her official bonk tester. The Empress of Art says she took her role very seriously, sometimes too seriously. At least once she was found consorting with a "tryout" well after he was passed on to Catherine. Marie Antoinette is probably one of the most famous queens ever. 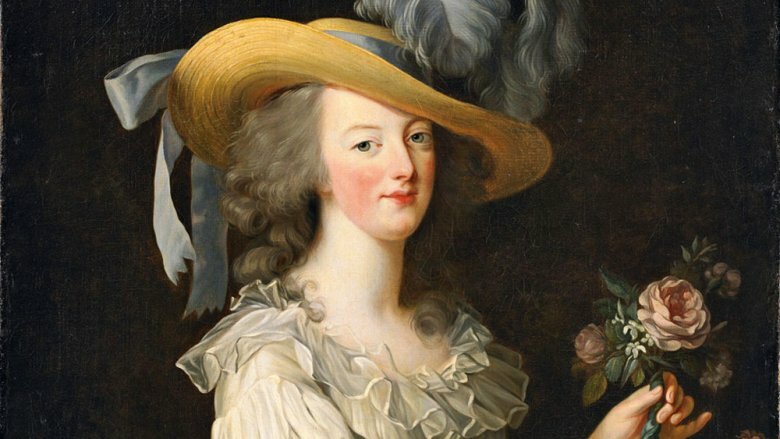 She was married to Louis XVI and lived an opulent lifestyle, at least until the point where they chopped off her head. She had everything in her life handed to her. Literally, there were dozens of people following her around handing her things whenever she asked. This apparently got unbearable and she looked for a way to escape. Unfortunately, the way she chose seemed like she was ridiculing actual normal French people. She had her own mini-palace built for her on the grounds of Versailles, but according to Château de Versailles, this wasn't enough. She also wanted a place where she could really get away, a place that was her idea of how poor people lived. So she built herself a fake village. Modern Nation says this included 11 different cottages, as well as a lake, a watermill, a working dairy, a windmill that doesn't mill anything, a barn and various other "peasant" type buildings. Marie Antoinette wasn't just half-assing this. She expected her guests to totally buy in to the fantasy of being a poor farmer or whatever. Women were told to ditch their fancy ballgowns for something simple and common. She even brought her kids to learn about farming. Her bonding with the peasant class wasn't enough to save her losing her head, but she tried. When you're empress of the Romans, you can do pretty much whatever you want. And Valeria Messalina sure did. Why sit around and relax all day when you could be out there doing whatever you want, and no one could tell you "Absolutely not, stop that right now"? 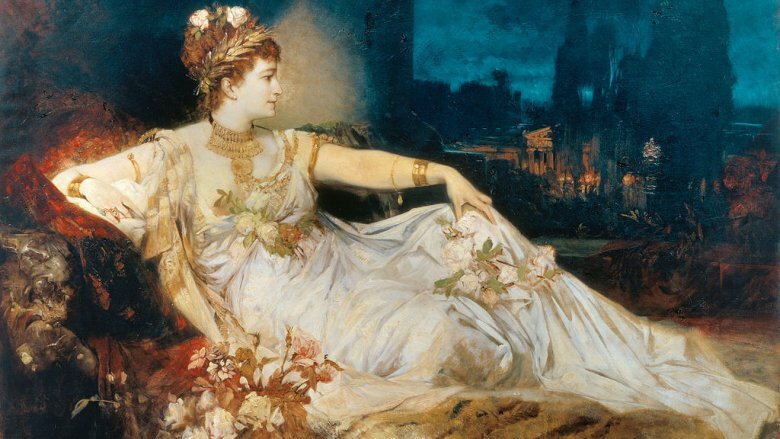 The exploits of Valeria Messalina were legendary, literally, as in we don't know for sure if they were true or not. But a whole lot of historians recounted the same story, which is about as good as it gets for historical evidence. According to History's Naughty Bits, Tacitus, Suetonius, Pliny the Elder, and many more all recount the same tales of Valeria Messalina. It's up to you if you think they're true or not. The empress was a working girl long after she didn't need to be. She owned a house of ill repute where ladies plied their favors for cash and made a tidy sum out of it. Roman Emperors says she even made upper-class ladies participate in the nightly goings-on. Valeria Messalina was a champ in the bedroom, according to reports. It was said that she set goals for her ladies and would participate in the fun herself. Supposedly she often won contests about who could bed the most men in a night, sometimes racking up 25 guys, which is pretty crazy. It might just be a story about how she used her sexuality to control her husband, the emperor Claudius. These days, most royal families are more style than substance. While we all might be excited about Meghan Markle marrying Prince Harry, there is little chance that they could order your head chopped off. Instead it will be a nice wedding and a fun thing to avoid thinking about your own life for a few hours. But head honcho Queen Elizabeth can still throw her weight around when she wants to. If you were the (mostly symbolic) queen of a whole country, you would probably ask for lots of crazy things. One of the worst things about clothes is breaking in new shoes. When you do a lot of standing, your shoes can pinch your toes something terrible. The Evening Standard says she has a servant specifically to try out her shoes for a while to make them comfier when she starts wearing them. Then there are the sandwiches. According to The Daily Beast, when Queen Elizabeth or members of her family eat sandwiches they'd better not have crusts or corners on them. 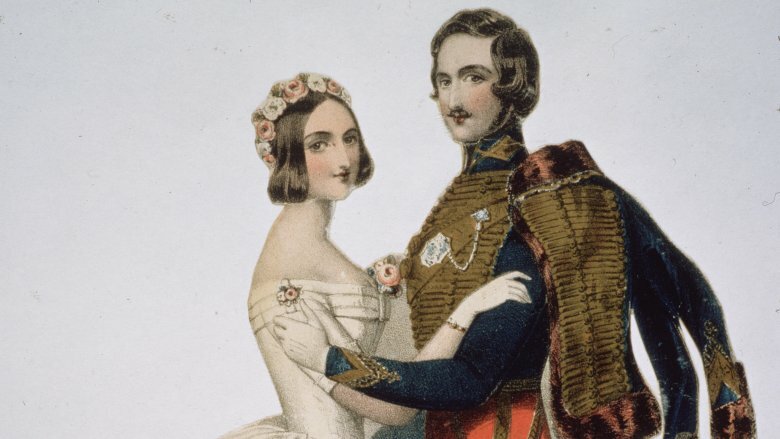 This bizarre tradition supposedly started over 150 years ago when Queen Victoria's husband Prince Albert (yes, the guy that piercing is named after) decided it would be bad luck to eat anything that looked even vaguely like a coffin. That meant your standard square-shaped sandwiches had to go. Albert has been dead a long time, but for some reason his quirky rule lives on. Joanna (who may not have actually been as mad as her name suggests) had the misfortune of marrying a hot guy. 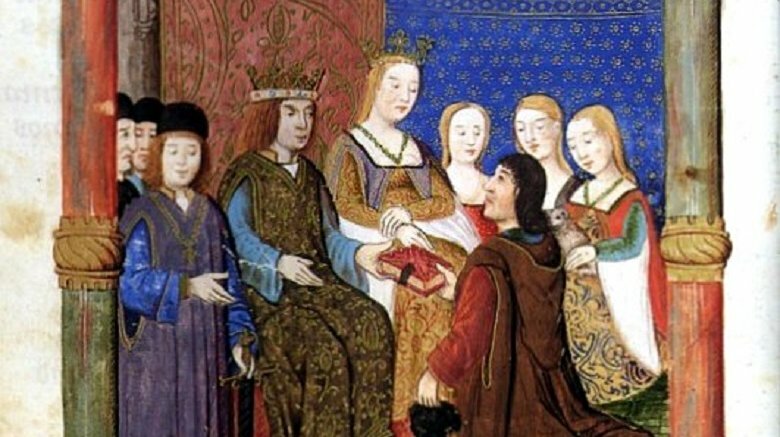 Philip, also known as "Philip the Handsome," knew how to keep his wife sweet, even if he was a jerk about it. According to Mad Monarchs, if he got into an argument with his volatile wife, he would leave her alone in her bedroom for days. When she wasn't getting down she would just wander around her room banging on the walls. That was the only banging happening, and since she was supposedly argumentative in general this happened a lot. It didn't help that hot Philip was a huge womanizer. It's rare for any king to be completely loyal to his wife, since the options are there, but Philip had an especially wandering eye. Once he was dead, however, he belonged only to Joanna, and she planned to take advantage of that in the least gross way possible. Time says that once she had her husband's dead body all to herself, she wasn't about to give it up easily. Knowing he belonged only to her now, she delayed letting her husband be buried. Even after he was finally interred, she had his coffin opened so she could kiss his feet and make sure his body hadn't been stolen. Even when he was dead she ordered that women had to be kept away from him, perhaps because he was too hot and she didn't want other women falling in love with him. 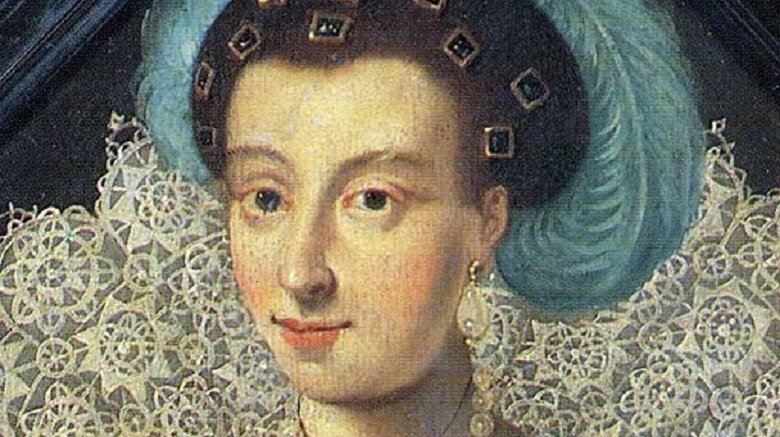 Like Joanna "the Mad" of Castile, Maria Eleonora may have had serious mental problems, possibly suffering from postnatal depression. But at the time, she just came across like she was completely bananas. 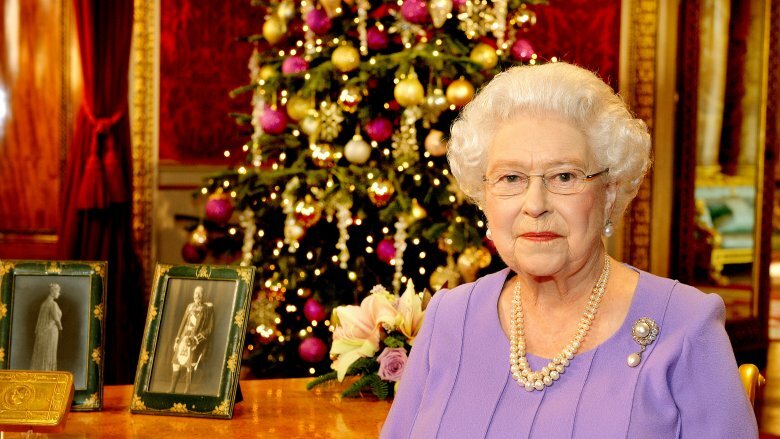 The queen knew it was her job to give birth to a son and that she kept failing at it. When she finally gave birth to a healthy, if slightly weird-looking, baby girl, no one told her for a couple days to keep her from the inevitable shock. At least she took it in stride when she did find out. According to Mad Monarchs, her reaction was, "Instead of a son, I am given a daughter, dark and ugly, with a great nose and black eyes. Take her from me, I will not have such a monster!" That's pretty much any sane woman's response to having a daughter, right? But Maria was really not down with having a girl, and amazingly bad things kept happening to the baby. A wooden beam once "mysteriously" fell on the cradle. Another time she "accidentally" fell down the stairs. Then there was the time a nurse dropped her straight onto a stone floor, injuring her shoulder. Even the father wouldn't give the poor baby a break, instead raising her as a boy. After her husband died, Maria spent the rest of her life worrying about becoming poor, while her daughter reigned.